Intelligent energy storage is viewed as the "missing link" capable of promoting even faster growth in clean energy generation and distribution capacity. It's also viewed as a key enabler for building smarter, cleaner, more efficient and more resilient electricity grids. Every year, Bloomberg New Energy Finance (BNEF) selects 10 “game-changing innovators who are revolutionizing the energy sector.” Two homegrown intelligent energy storage startups were among the winners of BNEF'S 2015 New Energy Pioneers Awards. Greensmith and Stem are both leaders in the development of systems platforms that are capable of aggregating and integrating diverse, distributed clean energy and energy storage assets. Their solutions deliver more efficient, resilient, secure and affordable electrical power for electric utilities and their customers. The market for advanced energy storage systems is forecast to grow exponentially in 2015 and over the course of the next decade. Besides shaking up the utility and fossil fuel industries, technological advances and declining costs of advanced energy storage are prompting a growing host of investment groups, utilities included, to take equity stakes in companies that develop promising energy storage solutions. “The storage industry is poised for an exponential increase in sales,” Eric Borden, a Berlin-based energy consultant, told Renewable Energy World in February. “Storage is today where [solar photovoltaics] was six or seven years ago ... Battery costs have declined 80 percent over the past decade." Some 362.8 megawatts of energy storage projects were announced worldwide in 2013 and 2014, distributed nearly equally between North America, Asia-Pacific and Western Europe, according to Navigant Research. The market research company expects global installed energy storage for the grid and ancillary services to increase from 538 megawatts in 2014 to 21 gigawatts in 2024. Worldwide market revenues over this period will grow from $675 million in 2014 to $15.6 billion. According to GTM Research and Energy Storage Assocation's (ESA) inaugural U.S. Energy Storage Monitor, Greensmith on its own accounted for a third of grid-scale energy storage software and solutions installed in the U.S. in 2014. Using the two new GEMS4 applications, end users will be able “to test alternative designs and gain valuable real-time intelligence on performance, helping them optimize system design and maximize return on investment (ROI),” the company elaborates. Initiating California's drive to install 1.325 gigawatts of power storage capacity across the grids operated by its investor-owned utilities, Southern California Edison (SCE) this past November awarded Stem a set of local energy procurement contracts. The contracts call on Stem to deploy 85 megawatts of distributed energy storage capacity “behind the meter” at customer sites across its West Los Angeles Basin service territory. On April 13, Stem and Japan's Mitsui & Co. announced the successful closing of a first, $12 million tranche of a Series C venture capital funding round. The new capital will be used to fund Stem's geographic expansion. When it comes to advanced energy storage technology and systems, Japan is among the nations at the leading edge of innovation and change. Ever protective of its domestic companies and industries, foreign companies continue to find it necessary to partner with Japanese companies to gain a foothold in the marketplace. According to the joint press release, “Mitsui and Stem plan to collaborate on Stem's entry into new markets by leveraging Mitsui's customer base and sales and marketing resources. 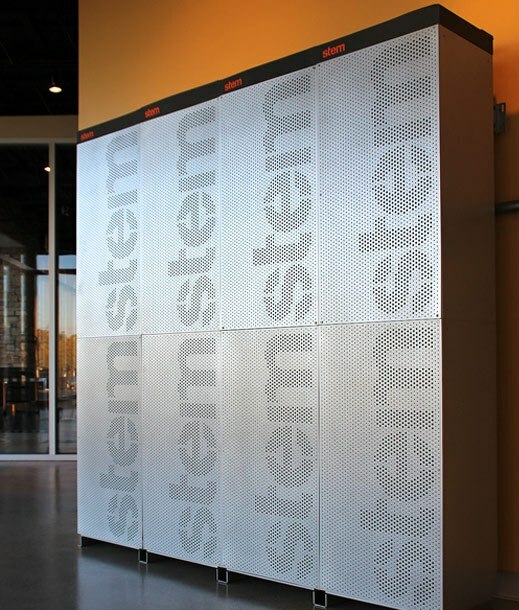 Through this investment, Mitsui will contribute to the sustainable growth of Stem's business as well as gain hands-on experience in the intelligent energy storage space.